With the upcoming release of Fate of the Furious only days away from hitting screens all across the world, we decided to list our fan favorite cars from the entire Fast & Furious series. 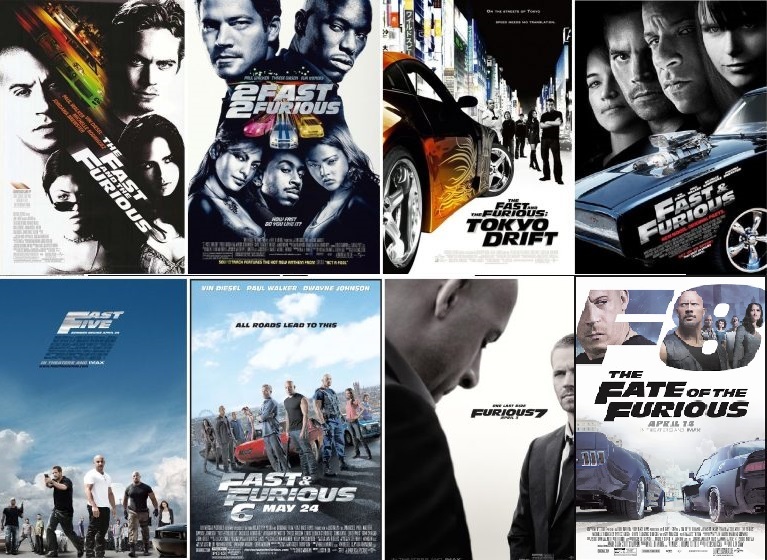 The Fast & Furious films started off as a small action thriller set in the world of street racing but was catapulted into pop culture and became one of the biggest and most successful film franchises in history. While everyone has different reasons as to why they love and/or hate these movies, one can’t deny that a big part of their appeal is the way they showcase some of the best automobiles from all over the world. Below are our picks for the best and coolest cars featured in this high octane action saga that brought motorheads and general audiences together. Tokyo Drift is the most polarizing film in the long-running franchise but regardless of your feelings toward the film and the series it can’t be denied that the one thing filmmaker Justin Lin’s film is all about the cars. Now that sounds odd considering the franchise is so associated with cars but Tokyo Drift is the only one in which the focus is automobile customization and culture. 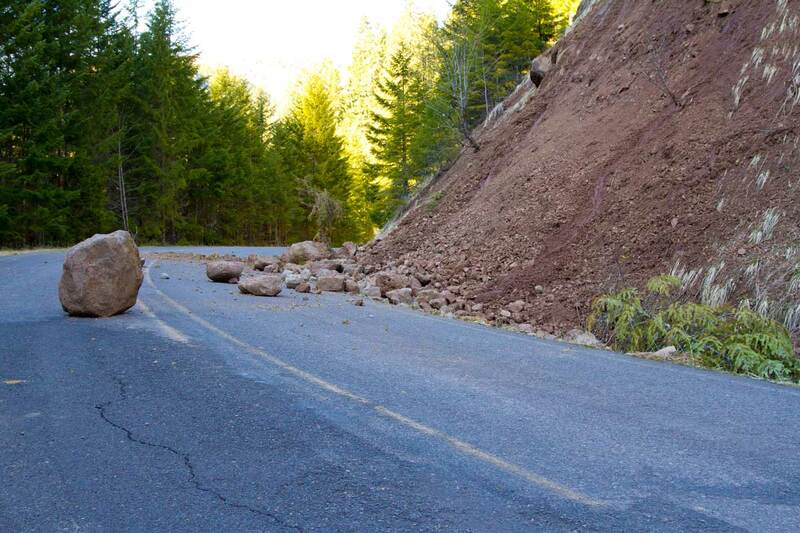 This is shown in the film’s climax which has an American teen expatriate played by Lucas Black building and tuning a custom ride using the body and chassis of his father’s 1967 Ford Mustang Fastback with the engine of his totaled Nissan Silvia S15. We see, even if we are not explained, the meticulous process by which a car is built and tuned up and tested and re-configured. The custom ride is a showing of the “East meets West” sensibility that the film’s “American teen in Japan” plot is all about. Tough call here: Was the RX-7 good enough on its own or was it the fact that it was customized and made for actor Sung Kang’s character (fan-favorite) that made it cool? And yes the car was definitely “made” cool for the movie the actual vehicle is pretty impressive as well. The third generation of the RX-7, FD (with FD3S for Japan and JM1FD for the USA VIN), featured an updated body design. The 13B-REW was the first-ever mass-produced sequential twin-turbocharger system to export from Japan, boosting power to 255 PS (188 kW; 252 hp) in 1993 and finally 280 PS (206 kW; 276 hp) by the time production ended in Japan in 2002. The now iconic on-screen friendship between Vin Diesel and Paul Walker began in the first film when the two bonded over restoring and customizing a 1995 Toyota Supra Mark IV. In its most famous scene (aside from the now iconic chase at the finale) outraced a Ferrari. It raced a Charger to its doom. It’s a nitrous-fortified orange crush of a Toyota Supra. Although this car got more than a little face time in the first movie and makes a surprisingly poignant return later in the franchise, the last and fastest Supra could be considered the best, just like the final RX-7 mentioned earlier. With this version Toyota took a big leap in the direction of a more serious high-performance car. This Supra was completely redesigned from its previous iterations, with rounded body styling and featured two new engines: a naturally aspirated Toyota 2JZ-GE producing 220 hp (164 kW; 223 PS) at 5800 rpm and 210 lb•ft (280 N•m) at 4800 rpm of torque and a twin turbocharged Toyota 2JZ-GTE making 276 hp (206 kW; 280 PS) and 318 lb•ft (431 N•m) of torque for the Japanese version. The styling borrows some elements from Toyota’s first grand touring sports car, the Toyota 2000GT. For the export model in the US Toyota upgraded the Supra turbo’s engine to increase the power output to 320 hp (239 kW; 324 PS) at 5600 rpm and 315 lb•ft (427 N•m) at 4000 rpm. And like the Mazda above, America had shorter exposure to this generation, available here from 1993 to 1998, but it sold in Japan through 2002. Sadly, Toyota’s enthusiasm for performance hasn’t been the same since. You remember how you got all amped up at the end of The Fast and the Furious when Vin Diesel’s Charger popped up on its 2 rear wheels? Such has been one of the iconic images for the franchise with Vin Diesel recreating it in nearly every Fast & Furious movie he is in and almost always with his character’s trademark muscle car. The car is like the franchise: It’s been rebuilt and updated for another spin, but the first look was the best of the lot and the one worth remembering. The custom engine was said to be in the film to be “900 horses of Detroit muscle” which is not all too far-fetched considering the production had the car completely restored by its original builder, Cinema Vehicle Services, and is presented in full high-performance specification with an impressive list of equipment. Under its gleaming Black bodywork is a pro-built 528 cubic inch Chrysler Hemi with aluminum Indy competition cylinder heads, a TBS supercharger fed by F.A.S.T. electronic fuel injection and an N.O.S. 250 HP plate nitrous injection system. Rated at 950 bases HP, the huge Hemi develops over 1,100 on the bottle. A race-prepared TCI 727 Torqueflite automatic transmission and Strange 3.73 “Locker” rear end put all that power to the ground, with Wilwood four-wheel disc brakes ready to bring it to a sure stop. This is a stock-car on the streets and is absolutely fitting with Vin Diesel’s character. Prior to Lucas Black making his custom Nissan/Mustang hybrid his main car throughout the film was the 2006 Mitsubishi Lancer Evolution IX. Much less gaudy than the Evo in 2 Fast 2 Furious this red tuner was customized for hairpin turns as opposed to the “sprinter” style of that version. Mitsubishi introduced the Lancer Evolution IX in Japan on March 3, 2005, and exhibited the car at the Geneva Motor Show for the European market the same day. The North American markets saw the model exhibited at the New York International Auto Show the following month. The 2.0 L 4G63 engine has MIVEC technology (variable valve timing), and a revised turbocharger design boosting official power output at the crankshaft to 291 PS (214 kW; 287 hp) and torque to 392 N•m (289 lb•ft). This is Paul Walker’s signature ride throughout the franchise. It’s cool, that’s why no one should have any problem whatsoever with the frequency of these cars’ appearances in the series. The new, America-friendly Nissan GT-R is brilliant (which appears in Fast Five and Furious 6), but there will always be a mystique surrounding the all-but-inaccessible predecessor. There’s both the blue model in Fast & Furious and the silver car in 2 Fast 2 Furious where the car made its debut. The Nissan Skyline GT-R is a Japanese grand tourer based on the Nissan Skyline range. The Skyline GT-R was never manufactured outside of Japan. In January 1999, Nissan introduced the fifth generation of the Skyline GT-R along with the V-Spec version. The new car has a 50% stiffer body structure and was shorter than the R33. Improvements to the engine’s valve timing and camshafts along with the ceramic turbocharger gave the engine an actual output of around 320 hp, although Nissan continued to advertise the car as having 280 hp. The 280 hp rule was a gentlemen’s agreement in the Japanese auto industry, in which they adhered to the idea of not making cars with more than 280 horsepower in order to reduce high speed accidents. The R34 GT-R was also the first GT-R to feature a 5.8 inch LCD in the center console, that provided the driver with seven digitized information regarding the car’s engine and dynamic parameters. Michelle Rodriguez drives this car. It is shown that she outfitted the British vehicle with a supercharged American Chrysler V8 engine. It seems appropriate that the car would have a bit of an identity crisis considering the amnesiac state of Rodriguez’ character: an American Criminal now operatin in London. The Jensen Interceptor was a sporting GT-class car. Interceptors were hand-built at the Kelvin Way Factory, West Bromwich near Birmingham in England by Jensen Motors between 1966 and 1976 and had extensively used glass-reinforced plastic for the fabrication of body panels before returning to a steel body-shell. The V8 engine is speculated to provide about 280 or so horsepower and 350 pound-feet of torque make for some entertainment and the big Chrysler lump of an engine makes a great sound as heard in the film. The Subaru Impreza is a popular vehicle for racing enthusiasts, particularly because of its low base price. Paul Walker’s character maintains his affinity for Japanese made vehicles and is appears in this car after it was “gifted” to him by Vin Diesel’s character and uses it for a major set piece in the 7th film. Debuting at the Tokyo Auto Show in October 2007, WRX STI versions build further on the standard WRX cars. The STI was fitted with a 2.0-liter EJ207 engine with twin scroll turbocharger generating 227 kW (308 PS) and 422 N•m (311 lb•ft) of torque. The Lykan HyperSport was revealed as an addition to The Fast and the Furious franchise in a big way during this as Vin Diesel’s Dom jumps the car from one skyscraper to another! The Lykan HyperSport is powered by a twin turbo flat-six 3.7-litre (3746 cc) engine from Porsche, producing 552 kW (740 bhp; 751 PS) and 960 N•m (708 lb•ft) of torque. The car is claimed to have a top speed of 385 km/h (239 mph) and accelerate from 0 to 100 km/h (0 to 62 mph) in 2.8 seconds. At $3.4 million, the Lykan HyperSport is the third most expensive car to ever be made. In The Fate of the Furious, our hero Dom turned to the dark side by a mysterious femme fatale (Charlize Theron), shaking up the family but especially Dom’s love, Letty Ortiz (Michelle Rodriguez), the hotheaded shift-stick superheroine ready to put Dom back in his place. And to do that during a climactic showdown in Siberia she gets behind the wheel of a Local Motors Rally Fighter. 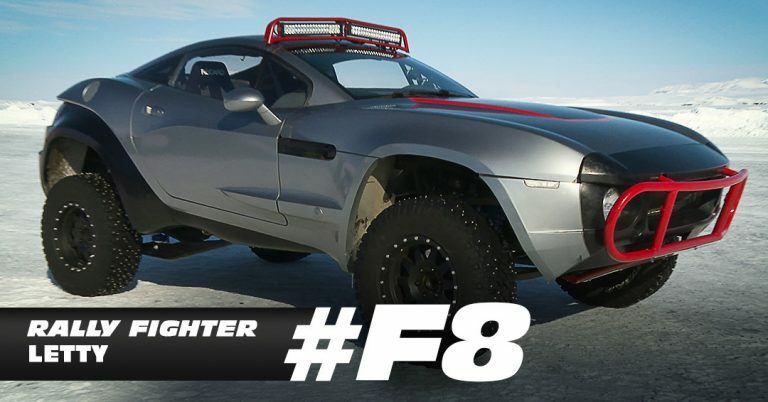 You may never guess but the the Rally Fighter is completely street legal. It’s an all-wheel drive car packing a supercharged LS3 Corvette V8 engine that punches out 500 hp. The Rally Fighter is notable for being equipped with 20-inch wheels travel. All the more miraculous is that 0-60 takes 6 seconds, which was once considered impossible for a big vehicle let alone it’s top speed of 131 mph. Go get him Letty! “Ride or die!” Are we updating that? Which car from the series was YOUR favorite? Let us know which one was your favorite and why, in the comments section below!